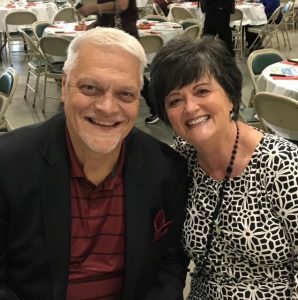 Gary Morton joined the staff of Second Baptist Church on June 1, 1988. For 30 years Gary served as our Worship Pastor. Gary now serves as our Executive and Senior Adult Pastor. Gary loves family time and also considers a great day to be riding his John Deere Gator and/or sitting in a deer stand. He and his wife Jan have two grown sons and five wonderful grandchildren. Jan is actively involved in the ministries here at Second by leading the Women’s Ministries, serving in our Worship Ministry, and teaching Womens Bible study. Their oldest son Jeremy and his wife Carrie live in Cartersville, Georgia where Jeremy serves as Senior Pastor of Cartersville First Baptist Church. Jonathan and his wife Erin are members here at Second Baptist where Jonathan serves as a deacon, Coaches in our Upward Ministry and serves in our Children’s Ministry.